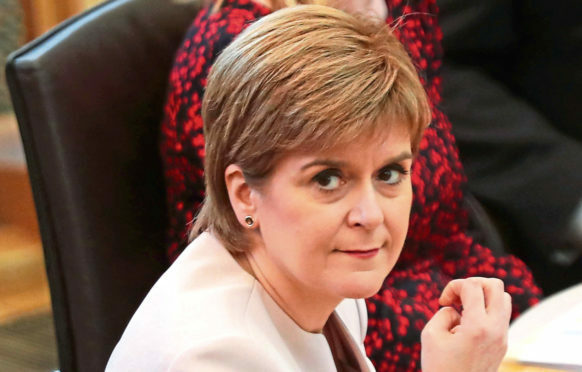 Nicola Sturgeon says she is waiting for a Dundee inquiry to publish its findings before taking fresh action to tackle Scotland’s drugs death crisis. The Dundee Drugs Commission, which was formed to prevent more fatalities in the city, is to reveal its recommendations by the end of June. Ms Sturgeon told MSPs on Thursday that the scale of human tragedy is unacceptable, adding the problem requires looking at controversial moves such as opening fix rooms. But the SNP leader said she would not plough ahead without reading the conclusions from two major reviews. “Work is under way in Dundee and Glasgow to consider what more can be done to tackle drug deaths,” she told First Minister’s Questions. On average, someone dies every week in Dundee from drugs, according to figures published in November. Most of the 51 deaths in 2017, which was up from 36 the previous year, were linked to heroin and “street Valium”, such as diazepam and etizolam. The commission met for the first time in May last year with the aim to identify better ways to prevent drugs devastating lives. The recommendations, which are likely to be studied across western Europe and beyond, are set to be finalised at a meeting in May before publication the following month. Ms Sturgeon stressed the importance of the Dundee commission’s work when challenged at FMQs by the Scottish Conservatives over her government’s drugs record. Jackson Carlaw, interim leader of the Scottish Conservatives, called on the SNP administration to change its drugs approach, arguing the doubling of drugs deaths in the decade to 2017 shows it is failing. “Its priorities seem to be spending millions on methadone and opening facilities to help heroin addicts take the drugs which have ruined their lives,” Mr Carlaw said afterwards. Ken Lynn, who is on the commission, believes at least some of their proposed strategies could be adopted across the country. “We are hoping to publish our recommendations by the end of June and we believe they will have relevance not just for Dundee but the whole country, especially in other cities,” the SNP councillor said. A new alcohol and drug strategy published by the Scottish Government in November called for an expansion of recovery communities and it backed drug consumption rooms, a plan which requires approval from a sceptical Conservative Government.